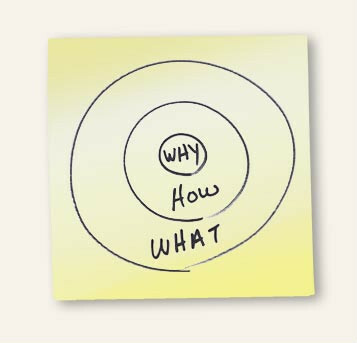 My friend Len Bland at Concept Equity sent me a link to Simon Sinek’s “Start with Why” presentation for the 2009 TEDx conference in Puget Sound, WA. The talk is inspirational (I’ve never seen a TED talk that wasn’t), and it’s particularly relevant to small businesses trying to secure their place in the market. Separate from that, it’s also great advice for writing successful proposals! The core of Sinek’s message is that, before you can inspire someone to follow you or buy your product (or financially back your research) they need to understand why you want to do this thing. Grant-writers need to remember that proposals are not selected by software algorithms—they’re appraised by people. Yes, you need a solid research plan and a reasonable budget and excellent credentials and brilliant ideas, but frankly every decent proposal has those things. To really stand out from all the other exemplary research competing for the same pool of money, your passion for the work needs to seep into the words and push them off the page. That’s why, when starting a proposal, step #1 is always “Target the proposal to the needs of the agency.” To do this, ask yourself why do I want to do this work, why is it important, and why should this funding agency care? If you build your proposal outward from “why”, you will find that “how” and “what” will follow naturally.